Native from Arkansas to Oklahoma and Texas, but widely planted northward for hedges or living fences and rarely spreading in our region by root suckers or seeds. First collected in 1868 in Berrien Co. and only sparingly since, though it is not always clear from herbarium specimens whether collections are from escapes or from planted trees. There are definite reports of escape at least in Berrien, Kalamazoo, Kent, Lenawee, Oakland, and Washtenaw Cos. The wood is unusually hard and durable. 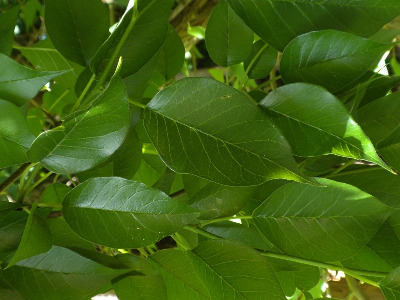 The fruit (“hedge-apple”) is fragrant, but inedible (except to some animals). MICHIGAN FLORA ONLINE. A. A. Reznicek, E. G. Voss, & B. S. Walters. February 2011. University of Michigan. Web. 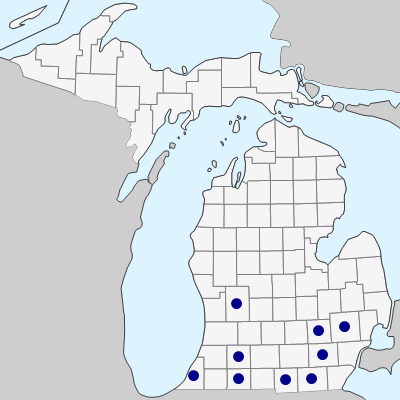 April 21, 2019. https://michiganflora.net/species.aspx?id=1701.